We feel the responsibility to take on causes that range from international to local. Some are club level commitments whereas others are championed by our members and the club supports those causes as much as possible. Feel free to explore what we do through the list on the left. 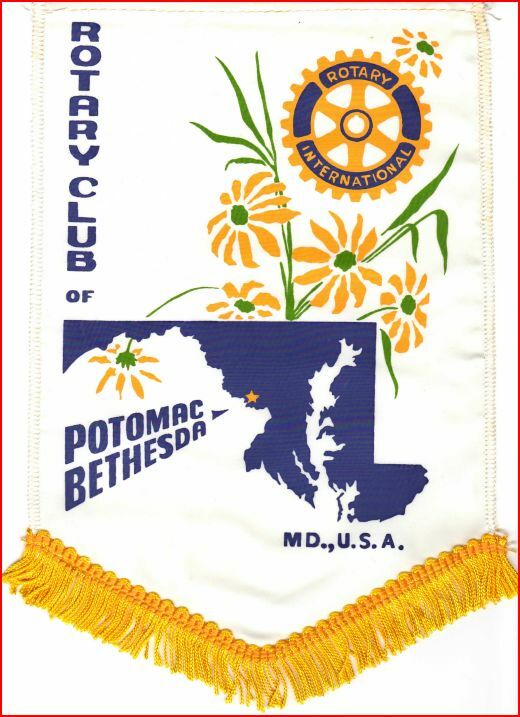 We collect and disburse donated funds through our foundation (Rotary Club of Potomac-Bethesda Foundation), a 501c organization. 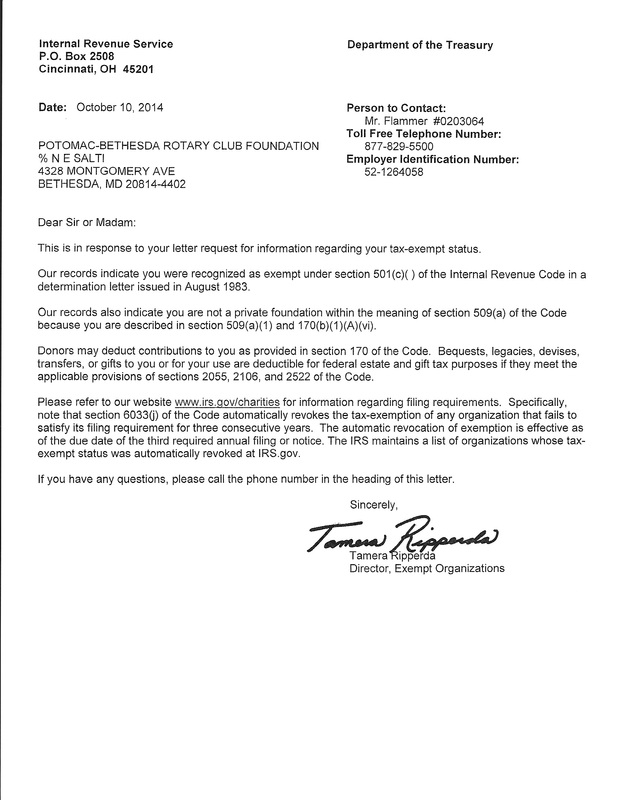 Therefore, contributions to the Foundation are tax deductible. If you have any questions or comments please click here to contact our foundation chair.